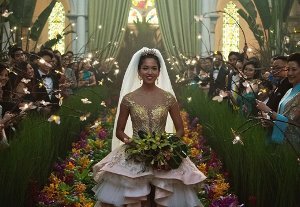 We follow a young woman as she accompanies her long-time boyfriend to his best friend’s wedding in Singapore. 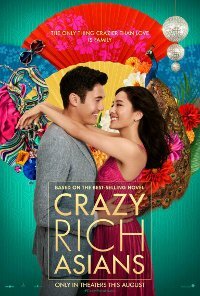 She is excited about visiting Asia for the first time but nervous about meeting her boyfriend’s family, and is unprepared when she discovers that he is from an extremely wealthy family, and rated one of the top catches for other young women in the territory. On top of having to deal with becoming a target, her possible future mother-in-law looks down on her, considering her to be unworthy of her son. How will love survive such challenges? No persons under 13 (Language, Prejudice, Drug abuse). Language Moderate impact, frequent, used as a form of expression and used to be demeaning to other characters. Prejudice Low impact, frequent, thematic, and throughout the film. Comments The film contains complex and mature themes presented in a comedic context mature themes presented in a comedic context, interrogating issues of prejudice, family relations, love, friendship, betrayal, infidelity, secretes, family expaxtions, rich family, sacrifice, forgiveness, jealousy, lies being spreaad, wealth, deception, and a wedding party. The themes carry a low sense of threat and menace. The themes are light-hearted, however, some of the themes might have the potential to cause moral harm. eg. the film carries bad language use which younger viewers might immitate and this would be misleading as they are still of impressionable minds and are still cognitively immature to comprehend such themes. The theme of prejudice is also highlighted in the film, the prejudice in the film is through out the film and is thematic and would therefore be misleading to younger viewers, as they might think that such actions or the use of prejudicial language are ok to use. A suitable age rating would be a 13 as viewers who are 13 and older would have the ability to recognise the context as the themes are treated sensitively and in ways that would be within their tolerance levels.